LOS ANGELES (October 5, 2016) – MediaAlpha, the pioneer in programmatic technology for vertical search, has strengthened its leadership position with several recent technology innovations that extend its platform capabilities and industry reach. 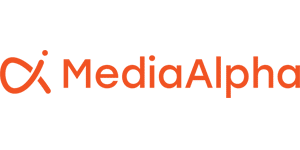 Bolstered by tremendous demand, MediaAlpha has added new functionality and product solutions into its platform and now offers the only unified programmatic technology platform to manage and optimize all vertical search media. • Call Exchange Platform: MediaAlpha extended its product suite to include programmatic buying and selling support pay-per-call media, establishing the first fully integrated programmatic platform for managing all vertical search media (pay-per-click, pay-per-call, and pay-per-lead). • Lead and Call Buyer Exchange (Demand Side Platform): MediaAlpha also launched the industry’s first set of real-time, programmatic buy-side exchanges for leads and calls, with advertisers utilizing the platform to manage and optimize over $45 million in total transaction volume since launch. • Seller Exchange (Private Marketplace): The Company continues to expand the number of publishers creating private marketplaces to control how they sell and optimize their high intent, vertical search media. MediaAlpha’s supply-side platform deployments now collectively manage more than $80 million in annual transaction volume. • Shopper Monetization Programs: MediaAlpha strengthened its market leadership position in the insurance segment and is now working directly with 18 insurance carriers who utilize the MediaAlpha exchange platform to offer comparison advertising and monetize their non-served and/or non-converting shoppers. The Company’s relentless focus on staying one step ahead has been successful, as companies across multiple segments, including insurance, travel, personal finance, education and home services, adopt MediaAlpha’s advertising platforms. The total number of advertising transactions powered by the company’s technology platform grew by over 125% in the last year, and the Company is on pace to surpass $100 million in annual revenue for the second year in a row. To support this rapid growth, MediaAlpha has nearly doubled the size of its team in the past 12 months, and expanded its Los Angeles presence with a new office in THE BLOC – an innovative development located in the heart of Downtown LA. For more information, visit www.mediaalpha.com.